The Meteorological Department in a statement said the tremors could be felt in Kuala Berang. 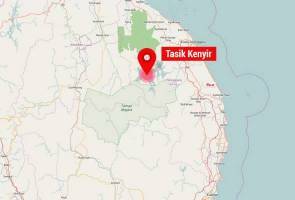 KUALA LUMPUR: A weak earthquake of 2.7 magnitude on the Richter scale was detected in Tasik Kenyir, Terengganu, Tuesday night. According to the statement, there was no threat of tsunami following the earthquake at 9.25 pm. Tasik Kenyir is the largest man-made lake in Southeast Asia with an area of 260,000 hectares and is located about 40 kilometres from Kuala Berang.